This is Part 1 of an interview with the author of Allergic to Life: My Battle for Survival, Courage, and Hope. Part 2 appears tomorrow. Having been allergic to mold since a child, I thought I knew something about mold’s impact on one’s health. 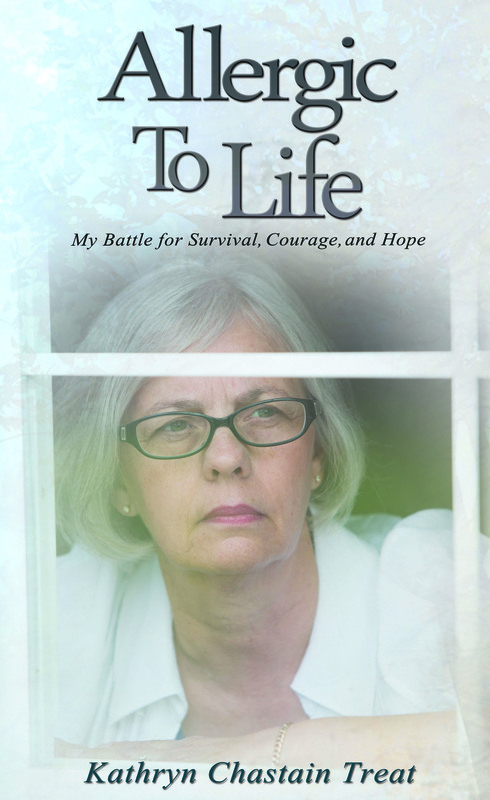 Then I read Kathryn Chastain Treat’s recently released memoir, Allergic to Life: My Battle for Survival, Courage, and Hope. Treat, an active wife and mother of two daughters, was exposed to toxic mold when she reentered the workforce at age 44. Suddenly, her life was turned upside down. 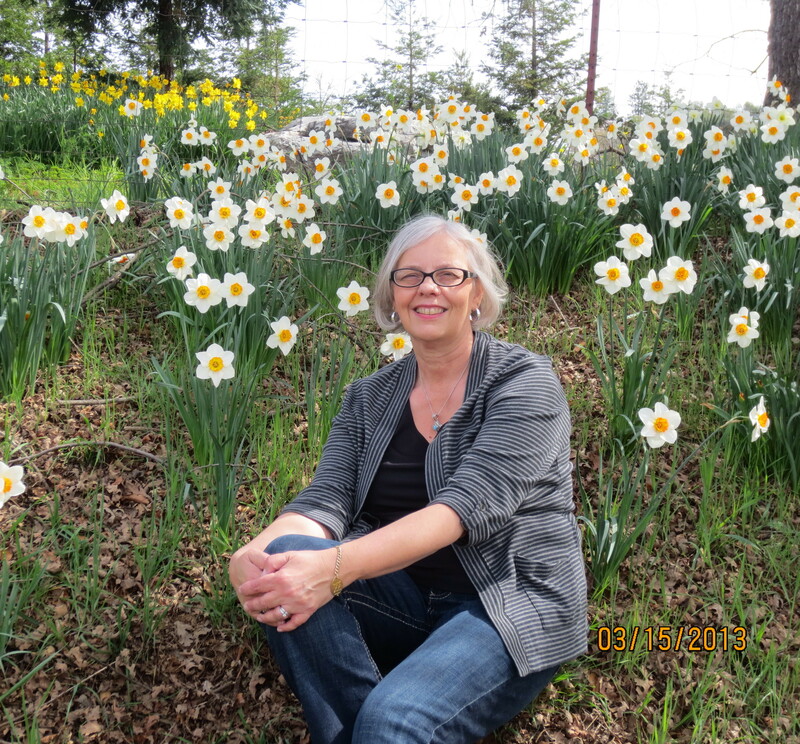 She developed such life-threatening allergies to chemicals and food that she was forced to become a reluctant recluse, only leaving her home for medical treatment. But Kathryn Chastain Treat is a survivor. After reading her incredible story, I couldn’t wait to ask her some questions. Kathryn, you are one of the bravest people I’ve ever met! Thank you for sharing your story, which is really your family’s story. When you became so ill from multiple chemical sensitivities (MCS) and other health issues, you had to travel out of state for treatments. Your daughters were in high school and college then, and texting, Facebook, Skyping hadn’t been invented. How did you maintain relationships with them? Amy, it was extremely difficult to maintain a relationship especially when I spent so much time miles away from them. Even when I was home, my younger daughter was a two-and-a-half-hour drive from me, and I couldn’t go into her apartment that she shared with others. I was fortunate that I had always had an extremely close relationship with my daughters. We tried to talk on the weekends when they weren’t in school and I was not in treatment. I sent many notes and letters to them through the mail. It would have been nice to have had access to a computer or if Skype and texting had been available to me. There were so many things I missed because they couldn’t share pictures—their latest haircuts, a fun find, a trip they’d gone on–and I couldn’t help my older daughter choose her wedding dress. I bet your daughters will always treasure those notes and letters! Is there any concern that your daughters or grandchildren have a genetic predisposition to develop life-threatening allergies like yours? It does scare me that my daughters might have the same genetic predisposition and be in the 25 percent of the population that can be made very sick from mold. My older daughter immediately can sense when she goes somewhere that may be moldy, and she leaves. Both daughters are more aware of the dangers of mold and the toxicity of chemicals. My older daughter has three children and tries to be as careful as possible with them; she uses fragrance-free laundry products, steams her tile floors with water only, and prepares most meals from scratch. My oldest granddaughter has a mold allergy so my daughter is careful about where she takes her. To avoid exposure to chemicals that could cause you to go into anaphylactic shock, your husband built you a safe house–he sounds like a great guy!–and you two lived separately. Later, he moved into your house. What was that like, living separately and then sharing a house? Living apart for seven years was extremely difficult. Part of that time I was out of state and the rest of the time in a house close by. When my husband had a heart attack, he moved in with me so I could care for him. It forced him to give up his belongings, including his vehicle because of possible exposure to mold or chemicals. Now when he goes out, he must change clothes in the garage and then immediately wash his clothes. When my husband moved back in with me, we’d been used to living alone and we both had our own way of doing things—it’s still a challenge! It’s like two individuals marrying later in life and suddenly thrust into a relationship where they must give up some of their idiosyncrasies. How often are you able to leave your home now? I’m curious what your average day is like. After years of treatment and keeping myself isolated, I am now able to venture into a store for short periods if I wear a charcoal mask. I try to go when the stores are less crowded. If I stay too long, my brain becomes foggy and my chest starts to tighten up. There is a fine balance of how often I can do this or how long I can be out. My daily routine is so much different from the beginning of my illness. Most days I get up, shower, dress, eat breakfast, then check my emails and take care of business. I separate my supplements out for the day and then figure out what I have energy for doing around the house. Cleaning house now is done in segments throughout the day and throughout the week. I am a list-maker. There is always more on the list than what I can physically or mentally accomplish. My previous routine was much more time-consuming. Not only did I have to sort out my supplements, but they had to be done by day on the 4-day rotation I was on because some were food based. I took daily antigen injections and those had to be given in 4-day rotations. My food was also eaten in 4-day rotations so I had to figure out my meals based on what day of the rotation I was on. Then I did sauna therapy every single day (40 minutes) and oxygen therapy (2 hours). My day was done before I did any housework or got on the computer. I know all about the dreaded 4-day rotation diet of food and supplements, but adding the injections, oxygen and sauna must have been grueling! Thank you for giving us a glimpse into what life is like for you. Tomorrow, Kathryn will share more information on multiple chemical sensitivities and what we as a society can do to help. Register to win a free copy of Allergic to Life! For a signed copy (US Only) of Allergic to Life, click here. Thank you for allowing me to share my story with your followers. I hope to bring awareness about the danger of mold (especially indoor mold) and what life is like living with chemical sensitivities in a chemical world.